Indulge at Rush Bristol with one of their exclusive blow dry bundles which will give you beautiful hair for any occasion. To book call 0117 992 7087 or visit Rush Bristol. Buy three blow dries & get one blow dry free! 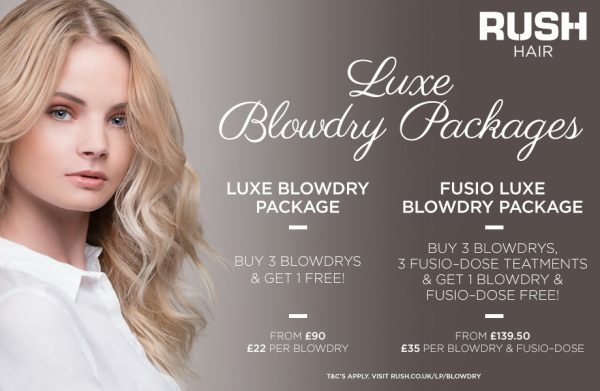 Get 1 blow dry & Fusio-Dose free!